El Toro Reviews - See What The News is Saying! Interested in seeing what others are saying about El Toro? We've consolidated some of our latest coverage in the news, along with El Toro reviews regarding our advertising technology products. 5/23/17 - These are Louisville's 6 most likeable CEOs. 5/17/17 - El Toro kicks off Running With the Bulls. 3/22/17 - Leadership Louisville Center’s Leadership Summit which included El Toro CEO Stacy Griggs. 2/22/17 - El Toro announces USPS rate discounts for ad campaigns that use its tech. 2/9/17 - Stacy talks on targeting real people and serving them digital display ads and videos based on their physical address. 2/6/17 - The University of Louisville invited Stacy Griggs to speak on building and scaling a company. 1/31/17 - Stacy Griggs speaks on why Entreprenurs should stay in Louisville. 10/26/16 -WDRB talks with El Toro about Google Fiber's expansion plans. 10/15/16 - Hyperpersonalization presented by Stacy Griggs. 10/5/16 - LEO reviews Stacy's panel discussion at IdeaFestival. 10/4/16 - David Stadler speaks at the LBF 40 Under 40 Luncheon. 10/3/16 - TechRepublic discusses talent attraction with El Toro. 9/27/16 - Talent attraction in Louisville: 5 things to know. 9/22/16 - USA Today reviews El Toro's views on the opportunity gap in Louisville. 9/6/16 - Digging into Louisville's opportunity gap. 7/13/16 - Stacy and David named E&Y Regional Entrepreneurs of the Year. 6/9/16 - Stacy speaks along with the USPS at the CampaignExpo on pairing direct mail with digital advertising. 6/3/16 - Kentucky Forward provides an update on El Toro's new HQ in downtown Louisville. 6/1/16 - Lane Report discusses El Toro's $2.1 million expansion project. 6/1/16 - The Courier Journal reports on bullish El Toro's new headquarters. 6/1/16 - Business First gives a first look inside El Toro's new headquarters. 6/1/16 - Insider Louisville takes a look inside El Toro's new headquarters. 5/29/16 - Southeast by Midwest. 3/7/16 - El Toro's CEO, Stacy Griggs, selected as an Endeavor Entrepreneur! 3/2/16 - Business First discusses El Toro's latest patent-pending ad tech, Digital New Movers. 2/29/16 - How much does it cost to become President? Entrepreneur uses El Toro's infographic to answer this question. 2/24/16 - Tech Republic discusses El Toro's findings on how much it will cost to become the US President in 2016. 2/23/16 - Venture Connectors hosts tech startup El Toro. Read More Here. 2/12/16 - Wave 3 News interviews the El Toro team on how Google Fiber will impact the Louisville tech industry. 2/11/16 - El Toro CEO Stacy Griggs quoted in Wave 3 News about bringing Google Fiber to Louisville, KY. Watch here. 2/9/16 - Huffington Post asks El Toro How Much Does It Cost to Buy the Presidency? 12/11/15 - El Toro wins Louisville Business First's “Emerging Company of the Year” award. 10/30/15 - Louisville.com says El Toro has the best bourbon bar in town. 10/30/15 - El Toro's bourbon bar is reviewed by Insider Louisville. 6/24/15 - See NewsMax's interview with Stacy talking about the future of digital advertising. 6/19/15 - El Toro named one of the Coolest Offices in Louisville by Business First. 6/17/15 - Talk Radio News Service interviews El Toro CEO Stacy Griggs about targeting voters. 6/16/15 - Bloomberg highlights how El Toro's technology was used to help win the presidency of Guyana. 6/15/15 - Insider Louisville discusses El Toro's usage in presidential politics. 6/1/15 - Tech Republic interviews El Toro CEO Stacy Griggs on how to fund your startup without venture capital. 5/26/15 - El Toro CEO Stacy Griggs quoted in Insider Louisville about creating a more robust startup community in Louisville. 5/8/15 - El Toro CEO Stacy Griggs to speak at the DMFB Conference in Raleigh, NC. 4/28/15 - El Toro announces integration with TapAnalytics. 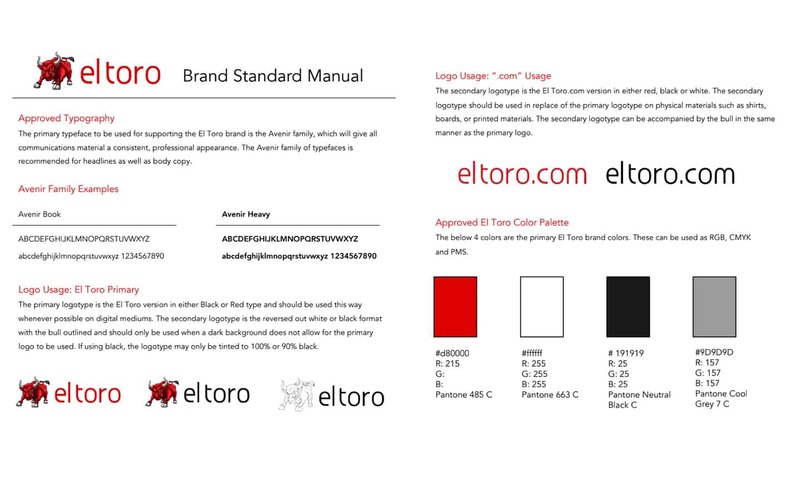 12/22/14 - Entrepreneur.com discusses how El Toro helps brands market to millennials. 12/22/14 - Insider Louisville reviews Captive Audience. 12/16/14 - Business First recognizes El Toro as one of Louisville's top startups. 12/16/14 - Captive Audience by El Toro featured in Alltop. 12/15/14 - El Toro recognized for helping public school students discover STEM careers. 12/15/14 - El Toro officially launches Captive Audience to better target college students. 10/21/14 - Capture Higher Ed talks about how they are using El Toro to better target students. 10/14/14 - El Toro profiled in Louisville Businesses First. 10/1/14 - El Toro named to GLI Hot Dozen. 9/9/14 - El Toro CEO Stacy Griggs named a mentor for Startup Weekend Louisville. 3/30/14 - El Toro presents at Venture Connectors. 3/18/14 - TechRepublic features El Toro and our IP Targeting Technology. 3/13/14 - The Rusty Satellite Show recently caught up with El Toro CEO Stacy Griggs to discuss the Louisville technology scene for their podcast. 3/6/14 - Insider Louisville, catches up with the team at El Toro to discuss our company and technology. 2/24/14 - Insider Louisville, discusses El Toro's session at Open Coffee Louisville. 10/29/13 - Louisville.am catches up with El Toro CEO to discuss Louisville and startups. Click below to download a PDF with our brand standards. This PDF will also be included in all other .zip files downloaded. 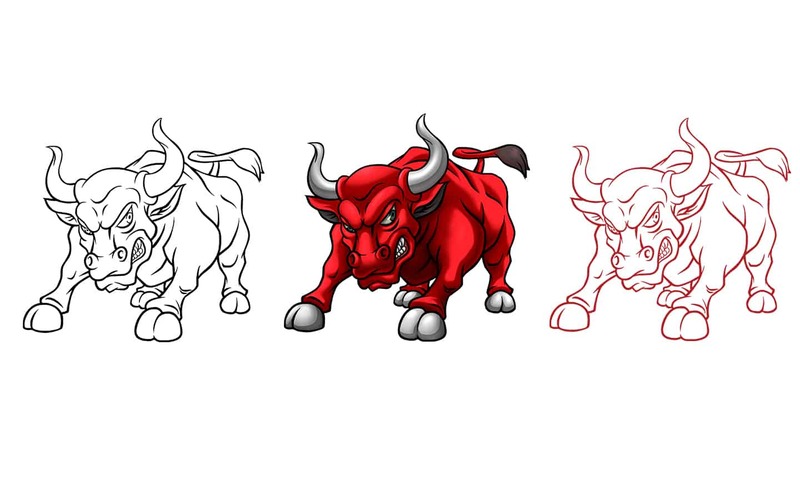 Click below to download the .png and vector images of the El Toro bulls. Click below to download the vector images of the full El Toro logo.